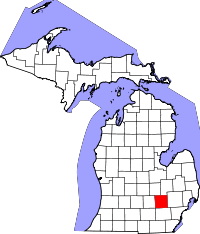 Livingston County, one of the fastest growing counties in Michigan, provides access to the county's vital records either through the mail or by visiting the County Clerk office in person. Those interested in obtaining records through the mail can find all the necessary applications and forms on the County Clerk website. The forms can also be printed, filled out, and taken to the Clerk's office, which is located at 200 East Grand River, in Howell, MI. The office allows researchers access on Monday through Thursday, from 8:30AM until 4:00PM, although only two researchers are allowed in at a time due to limited space, and it is highly recommended to call before visiting. Marriage records have been kept from 1836 to present day, along with divorce records from 1847, and death records from 1867. Birth records are also listed from 1867, however they are not part of the public record until they reach 110 years old.